Our company, formerly known as Richard J. Wey & Associates Land Surveying Inc., has been providing survey services to Greater Victoria and the Gulf Islands for over three decades. During this time, we have established a reputation for survey excellence, attention to detail, and responsiveness to client needs. Our clients range from individual lot-owners, to architects and engineers, real-estate developers, and public agencies. 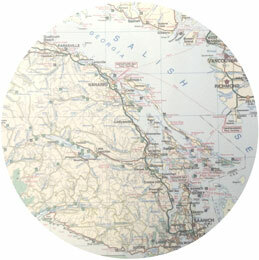 We are based in Sidney, B.C. ; however, our work takes us throughout Vancouver Island and the Lower Mainland, to all of British Columbia’s Gulf Islands, Howe Sound, and the Sea-to-Sky Corridor, including many remote coastal locations. Whether you are seeking legal or engineering surveys, land use studies and analysis, or topographic plans, you can trust your project to our dynamic and experienced team. Contact us to request an estimate.